The UK reading charity Booktrust has just released a report which looks into that nation's reading habits, and it has some good news for this ebook-loving blogger. The 53 page report is based on a survey of 1,500 adults in England (but not Scotland or Northern Ireland), and it includes extensive details on reading habits including both paper and digital. The report showed that a fifth of respondents never buy physical books, and that nearly as many (18%) don't read paper books at all. A growing number of the respondents (45%) reported preferring watching tv shows and movies to reading, and over a quarter prefer the internet and social media to reading books (rising to 56% among 18-30 year olds). This survey report mirrors the latest report from the Pew Research Center. The latter report doesn't go into the same level of detail as the Booktrust survey nor does it ask the same questions, but its results did show a similar difference in reading preferences. Both reports show similar levels of ebook adoption. Here in the US, Pew reported in January that 28% of Americans had read an ebook in the past year, while in England Booktrust reported that 29% of respondents had read an ebook at some point. The Booktrust survey goes on to break up that 29% and show that 20% of respondents read ebooks at least weekly, with another 9% reading ebooks less often. Both reports show similar levels of paper book use, with Pew reporting that 76% of Americans had read a book in the past year, while Booktrust reported that 78% of the English had read a paper book "daily, at least week, or less often(?)". Audiobooks, on the other hand, have only been adopted by about 6% of the respondents in the Booktrust survey. This stands in stark contrast to the US, where Pew reports that 14% of US adults had listened to an audiobook in the past year. 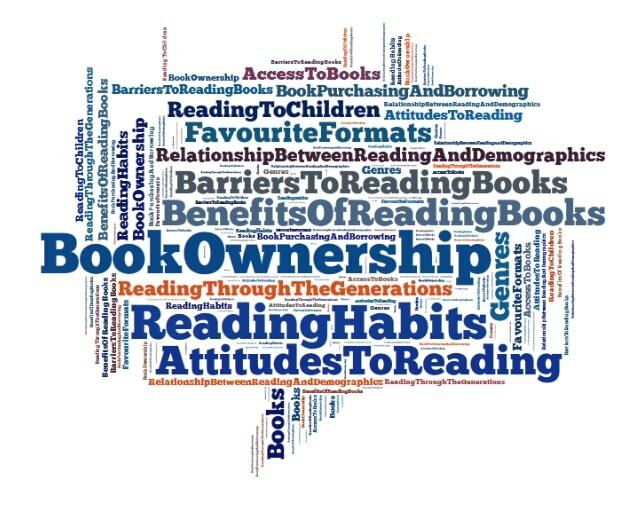 A later section of the survey delves into book ownership. As you might expect, the 6% of the respondents who read the most also owned the most books, averaging 994 titles in their library. Those bookworms read 12 books a month, while the group of next most enthusiastic readers (15%) read 3 to 4 books a month and had 252 books in their library. A similar group of voracious voracious readers (14%) read slightly fewer books but more magazines and other periodicals, and actually owned more books in their personal library (262). England is not the UK, fyi. So…maybe a change of headline? I know this, and I also understand the difference between GB, UK, and the constituent parts. But I am also in a damned if I do damned if I don’t situation. I am curious as to why do you think you are damned either way? So the survey results are about England, not the UK. Why do you think you will be attacked for being correct? I can’t actually answer that 4 months later and early in the morning. It seemed like it was obvious at the time, but now I can see how to change the title. And I did.